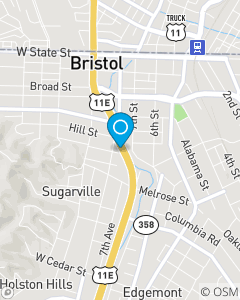 Proudly serving Bristol, Tennessee and the Tri-Cities area. Our mission is to help people manage the risks of everyday life, recover from the unexpected and realize their dreams. We offer car insurance, home insurance, life insurance, health insurance, and financial services. Call or stop by today. Being there is why we are here. I have been with Mike Adams State Farm since April 2015. I am licensed and eager to help you with any of your Auto, Home or Life needs!